What an emotional week I had last week because my son started his kindergarten friday. The not so good news about my week too was that I am not yet done with the command center that I was working on to be ready before his first day of school started. I almost had an anxiety attack because of that...lol! But while I was looking at what has been done so far...it made me calm down. The good news about it is that the most important element of the command center that I thought I needed before school starts, was in place already. And that is the calendar with the memo pad. I just purchased a blank dry erase board. 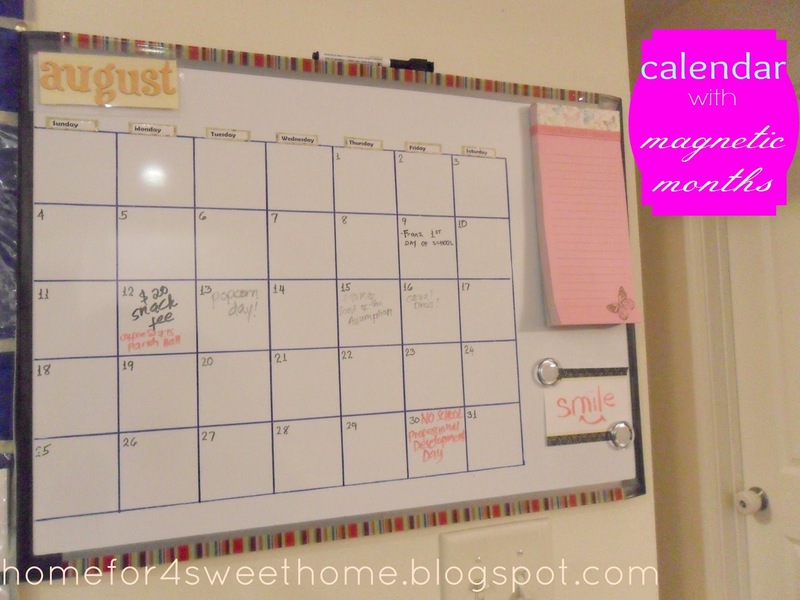 And the Mr. helped me create a calendar table using a permanent marker to it. 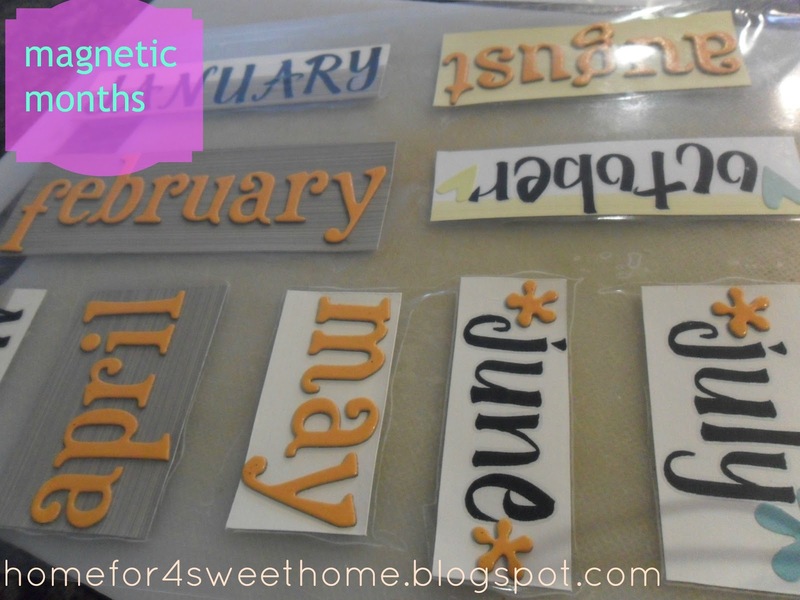 The letters are different craft stickers that i adhered to a craft paper to make it look fun. Then I just used a photo laminating sheet to protect the whole thing. And adhered a magnetic strip at the back using a double sided tape & it looked like this. And oh la la...it looks so cute & fun & easy to take off & put on the board. 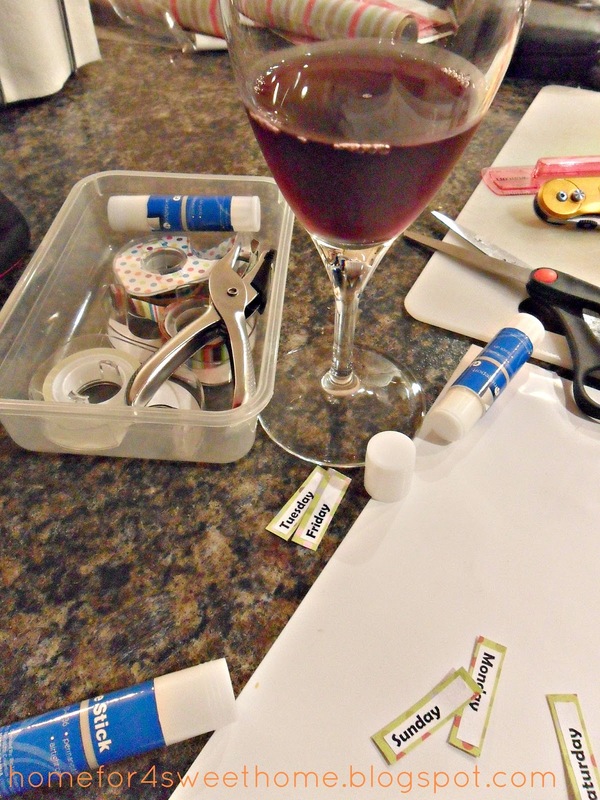 By the time I got done with these and the days label - a glass of wine was not a bad idea at all.. I promise it was just a glass♥ a celebration to all that has been done so far! Girl, with your baby going off to school, your whole house is going to be completely redone! LOL! The projects ease a mommy's mind, though. Hang in there. Your board is fabulous, as always. haha i hope i don't have to redo the whole house meredith! 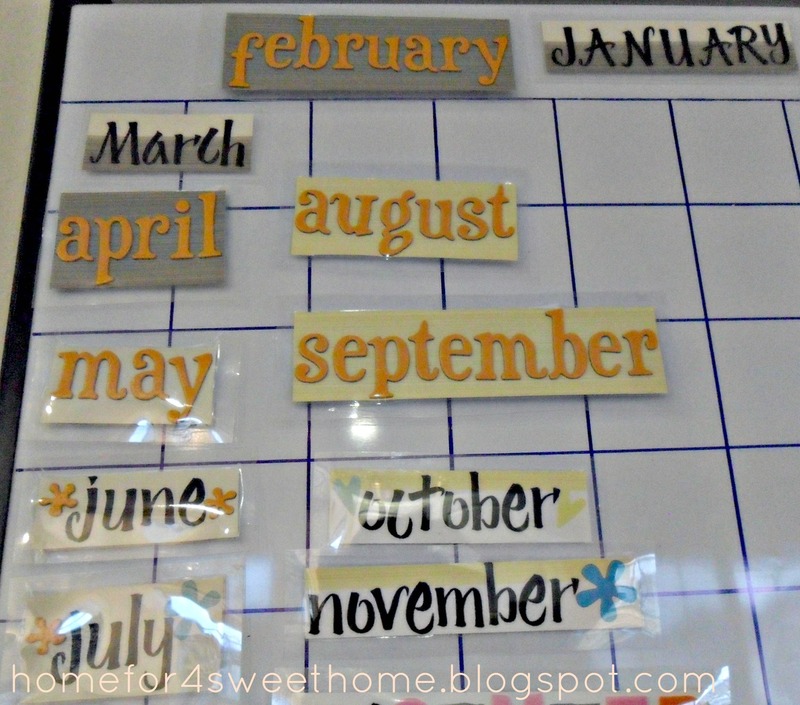 Really love this magnet idea for keeping it organized and fun!